PLANETS AND MOONS are not the only things whirling round the sun. Along with the earth and its companions are thousands upon thousands of tiny bits and pieces of rock and ice of all shapes and sizes. Some are smaller than a car others are several hundred kilometer across. These lumps of space debris are called asteroids. 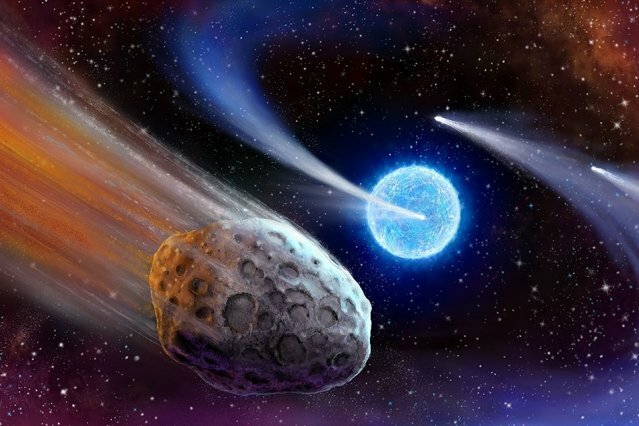 Every now and then, a very large lump of debris swings in from the outer limits of the solar system, creating a comet in the night sky. And all the time, lumps of this debris cannon into the earth as meteors, some penetrating right through to the ground as meteorites. Asteroids are little chunks of debris that never clump together to make a planet when the solar system was young. There are probably a million or more lying in the belt circling the sun between mars and Jupiter. 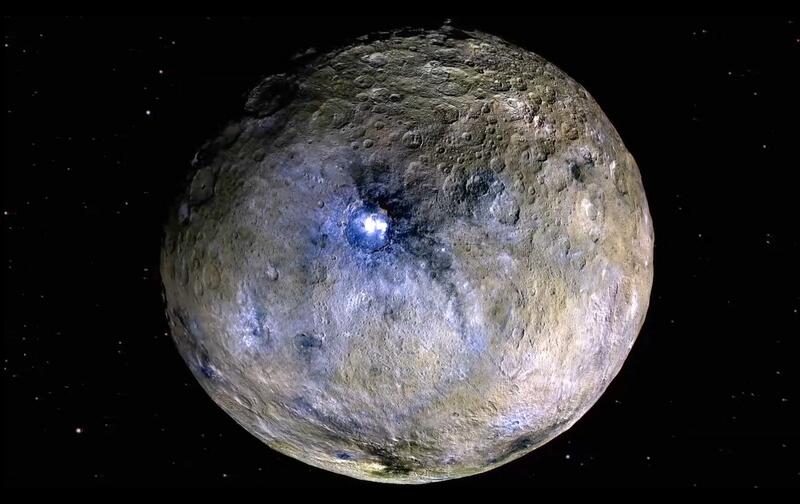 The first of the asteroid to be spotted – and the biggest – is Ceres which is as big as Ireland. The brightest is called Vesta, the only asteroid that can be seen with the naked eye. 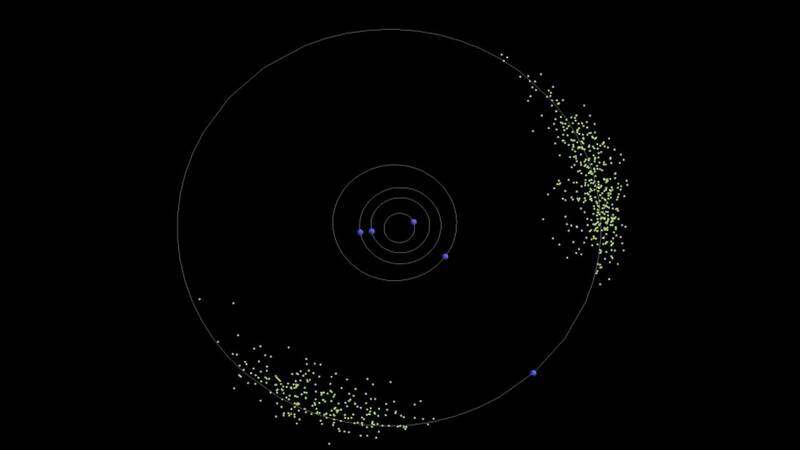 The Trojans are two small group of asteroids that circle the sun on the same orbit as Jupiter. Asteroids were first discovered in 1801, after a group of astronomers, calling themselves the celestial police begin hunting fora missing planet they were certain lay somewhere between mars and Jupiter. 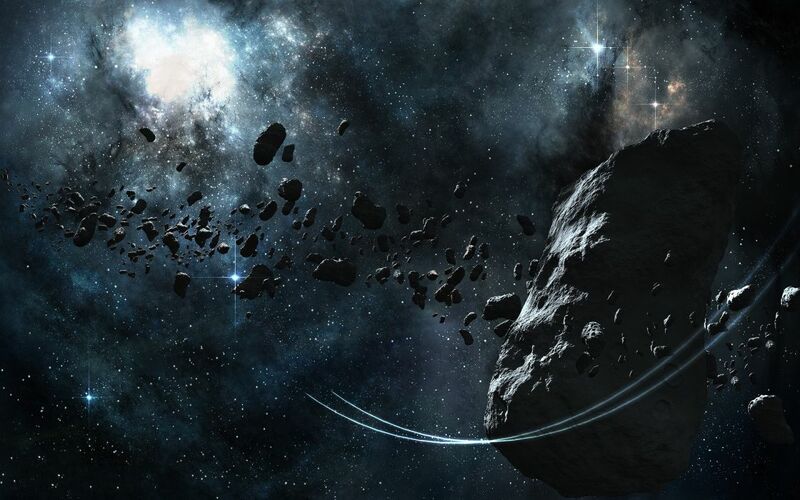 Nowadays,new asteroids are discovered frequently. Each is given an identification number and is named by the discoverer. Names vary from Greek goddesses to calculators. 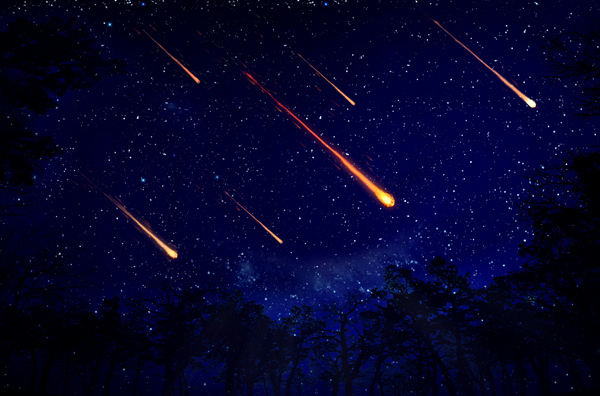 Every day, tons and tons of space debris rain down on the earth, sometimes in such great concentrations that they make a golden rain in the night sky – called a meteor shower – as they hit the earth’s atmosphere and burn up. 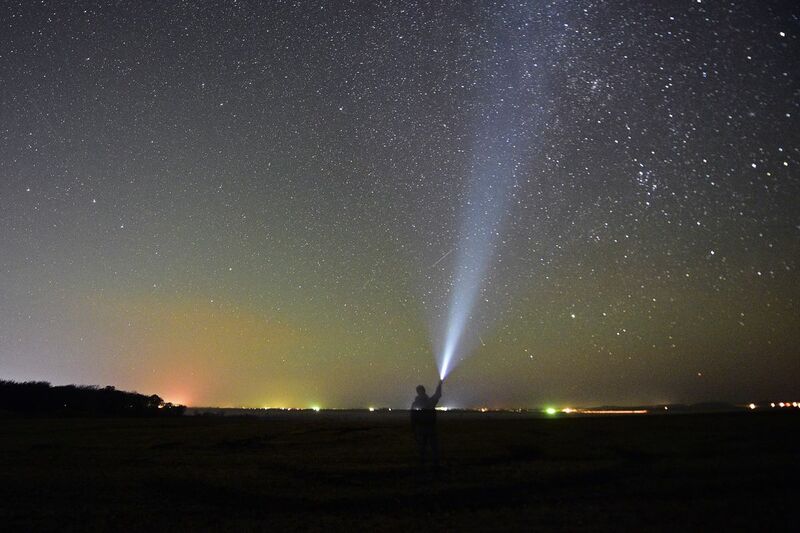 Meteors are space dust and lumps so small that they burn up long before they hit the ground. Meteorites are big enough to plunge right through the atmosphere and hit the ground. Most of these falls harmlessly into the ocean and vary in size from lumps the size of shoes, to the meteorite the sizeof a car that hit Namibia, Africa, in 1920, creating an enormous crater. Comets with their flaming tails are the most spectacular sights in the night sky. But they are actually just dirty balls of ice, a few kilometers across. Many comets circle the sun like the planets,but they have very long, stretched out orbits and spend most of the their time in the far reaches of the solar system. We see them only when their orbits brings them, for a few weeks, close to the sun. 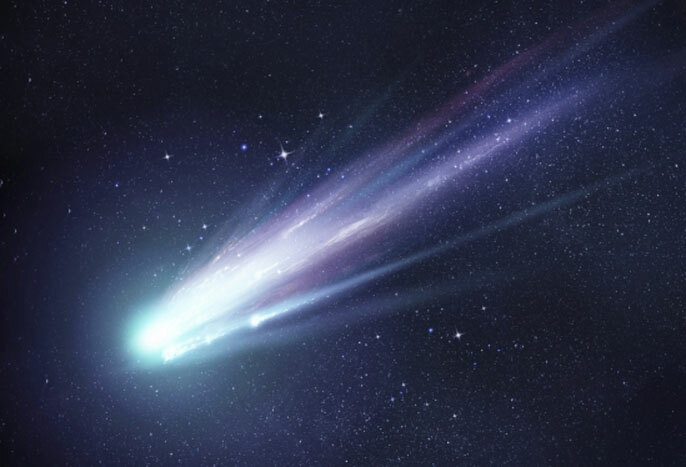 The comets tail is created as the comets hurtles towards the sun and begins to melt. a vast plume of gas, millions of kilometers across, is blown out behind it by the solar wind and this is what we see shining in the night as it catches the sunlight. Some comets called periodics, appear at regular intervals. Encke’s comet comes every 1,206 days. Halley’s comet comes every 76 years. comets speed up as they come near the sun, sometimes reaching speeds up to 2 million kmh. but far away from the sun they slow down to speed of little more than 1000 kmh, which is why they stay for so long. Halley’s comet, discovered by Edmund Halley, appeared before the battle of Hastings in 1066 and some say that it was the star of Bethlehem. As it swings round the sun, a comet’s tail changes direction. It contains so little solid matter that its is blown out easily by the solar wind, the stream of charged particles flowing from the sun and so always points away from the sun. Previous Post What are cycles of Nature?